Sometimes we forget what we have in our own back yard. 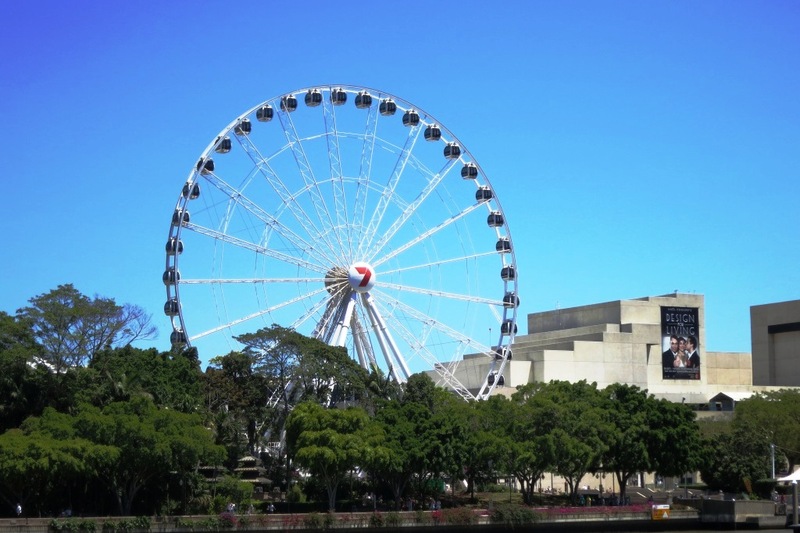 When I have friends visiting from overseas and I take them out to “show off” our city, my eyes are opened as I am reminded as to how much we have to offer right here in Brisbane. Currently I have my friend staying with me from the states so each day I play tour director. 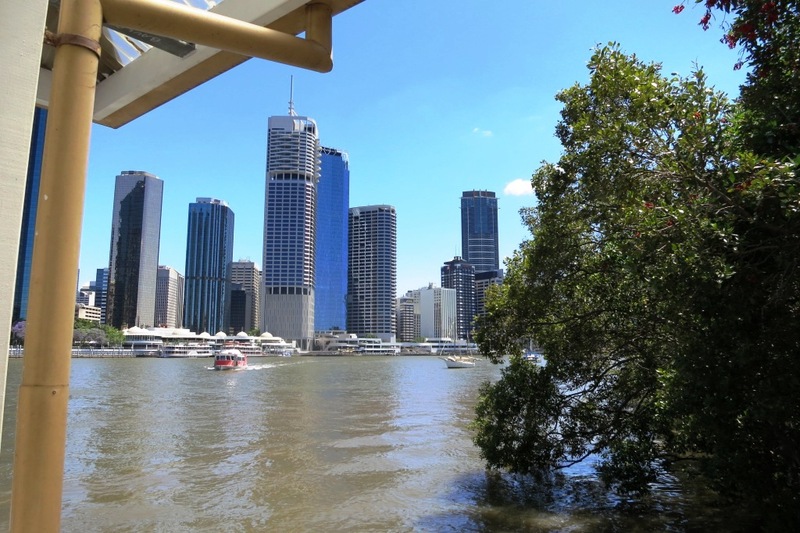 Today we chose to view the city of Brisbane from the river, the Brisbane River which flows through the city and out to Moreton Bay. We could never see as much from the car or even from walking. 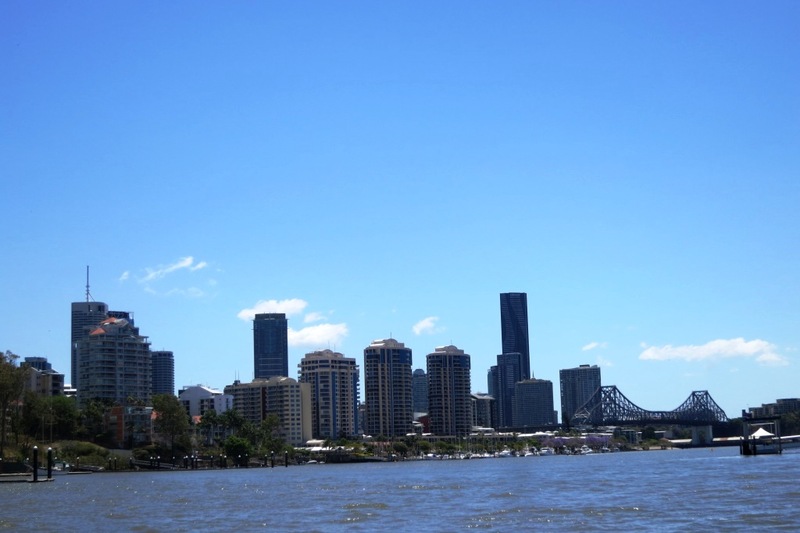 It was a perfect day with the best weather which it usually is in Spring time here in Qld. The days are beautiful but not too hot. 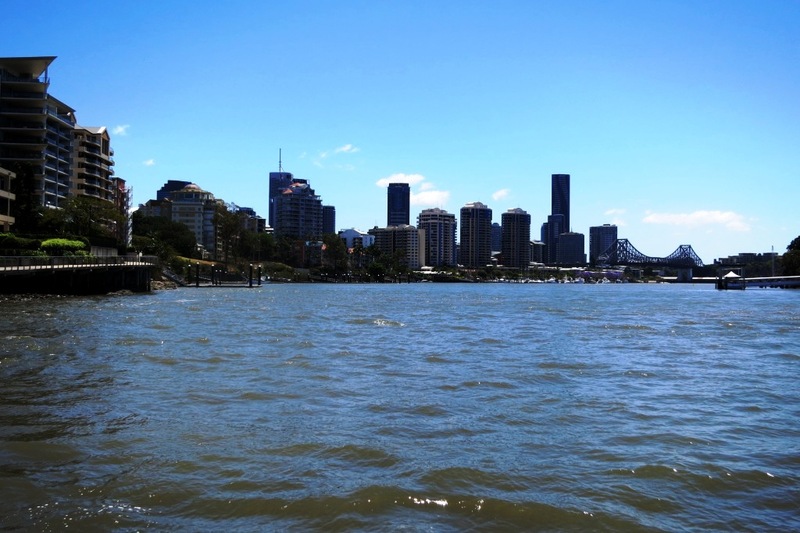 Right in the heart of the city the river is lined with office buildings and residential apartments. As you leave the city you see more high rise residential buildings and also beautiful houses. We started our day on the free city ferry called The City Hopper which travels between the west end of the city to the east end. Then it was on to one of the city cats for a faster trip further down the river to Tenerife where we left the cat to explore the old wool shed area. We chose this area as it reminds my friend of New York’s meat packing area. 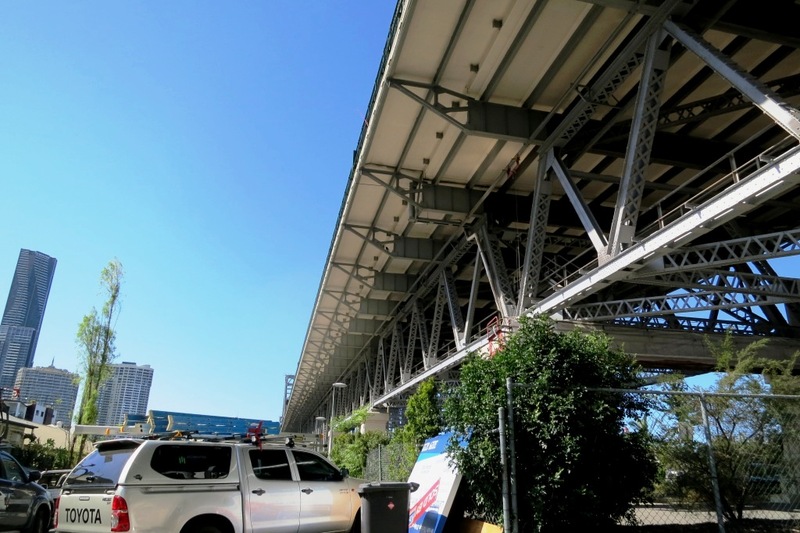 Up until recently it was industrial area with historical buildings but now it is a very trendy area with inner city apartments and townhouses, cafes, restaurants and bars. 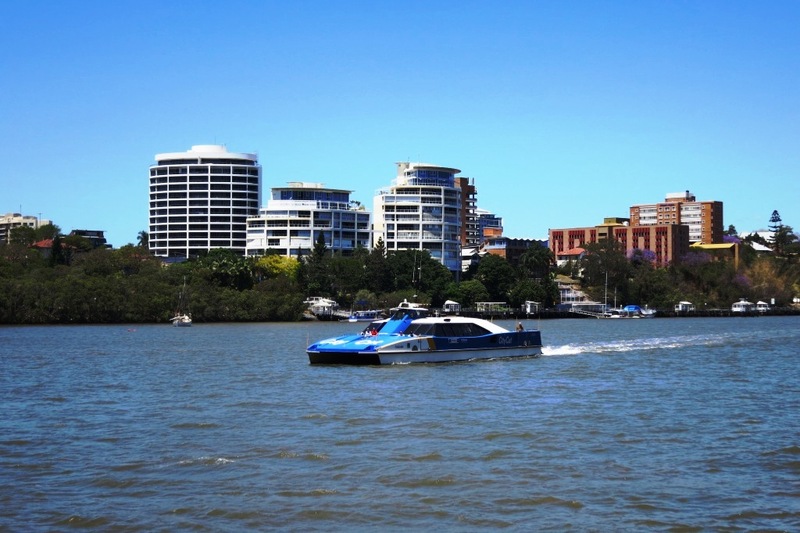 Cruising along the river viewing our scenic city is a relaxing and affordable way to take in the sights. You can hop on and off where ever you wish and create your own great day out. One of the lovely sights is Customs House. 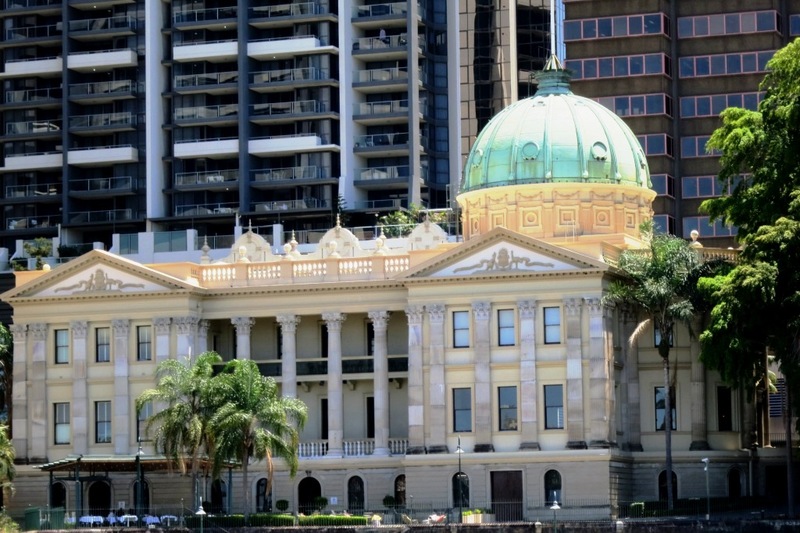 A beautifully restored building owned and operated by the University of Queensland. In here you will find exquisite boardrooms, a stunning ballroom, seminar rooms and a lovely restaurant. 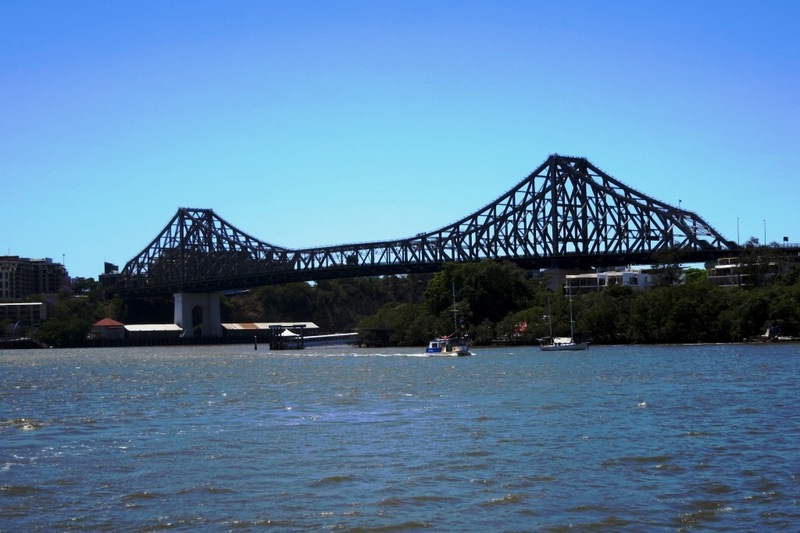 The Story Bridge is a very “pretty” suspension bridge which was built in the 1930’s. 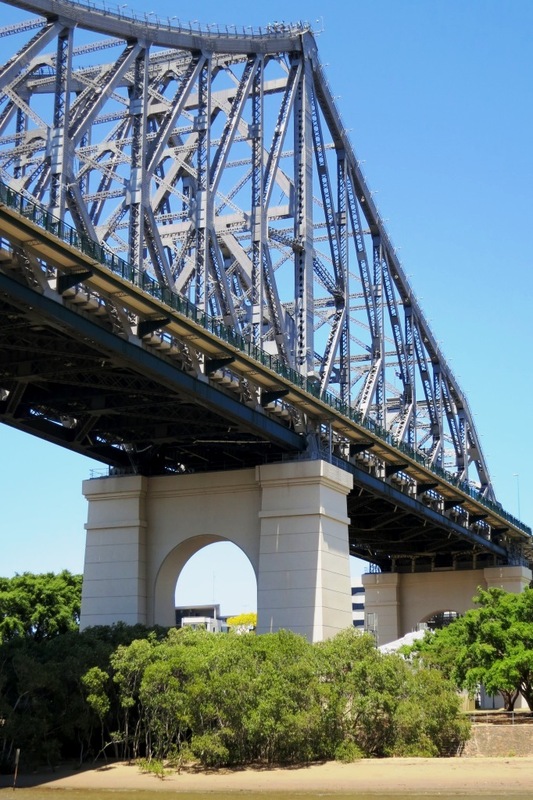 You can join organised bridge climbs on this bridge and apparently have amazing views of Brisbane. 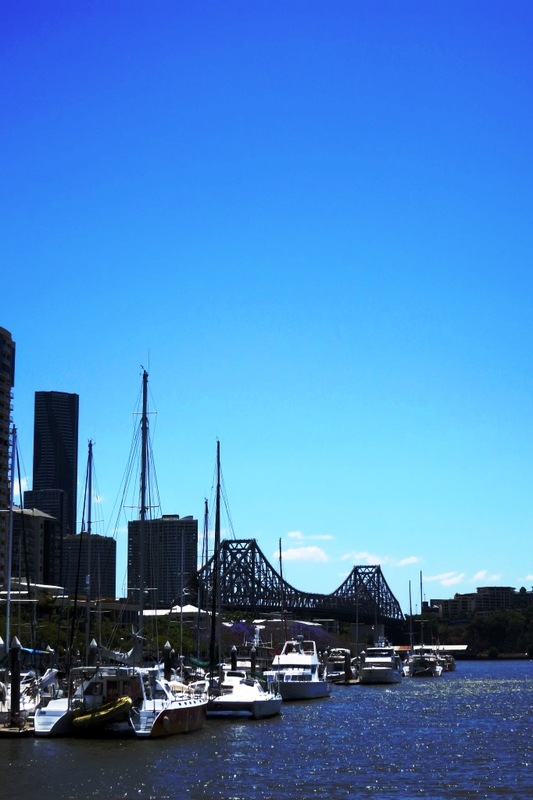 I am a born Queenslander & still amazed at the beaut city it is. Thanks Daphne. 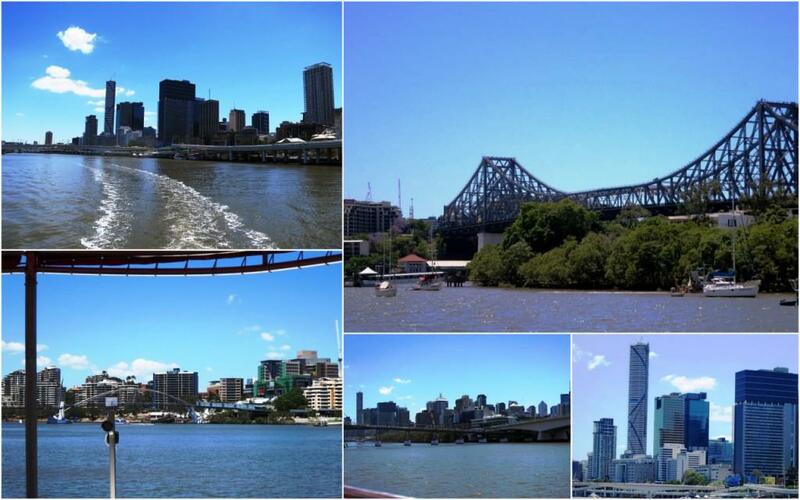 Brisbane is a wonderful city to explore, especially on a sunny day. I love being on or beside the river, you feel instantly cooler and not as though you’re in the middle of a city. Yes loved it when Yvonne and I went down the river. I have pleasant memories of the city! You take amazing pictures!! Yes you are so correct what a beautiful city we have. 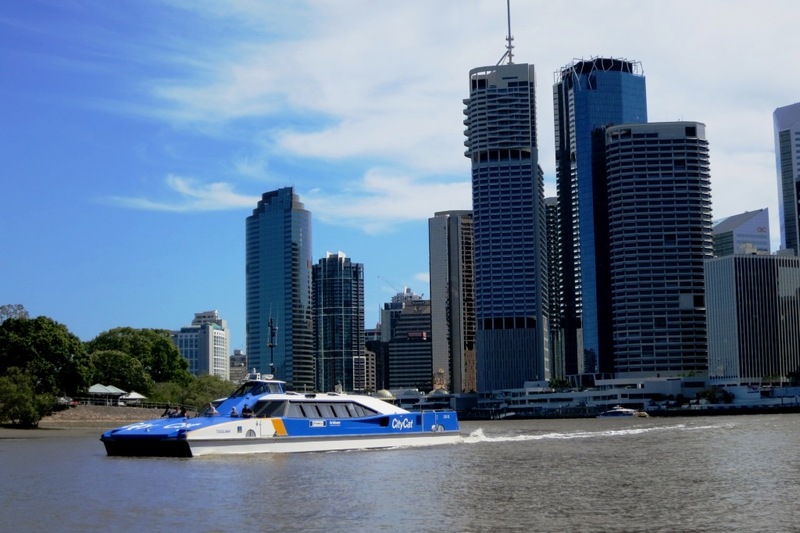 Loved your photos and loved travelling on the city cat recently. 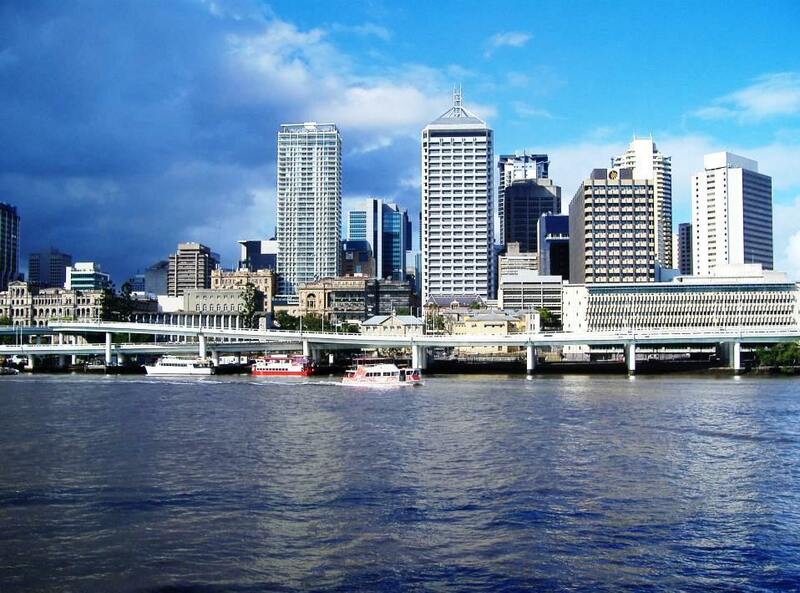 I’d love to catch up with contemporary Brisbane. 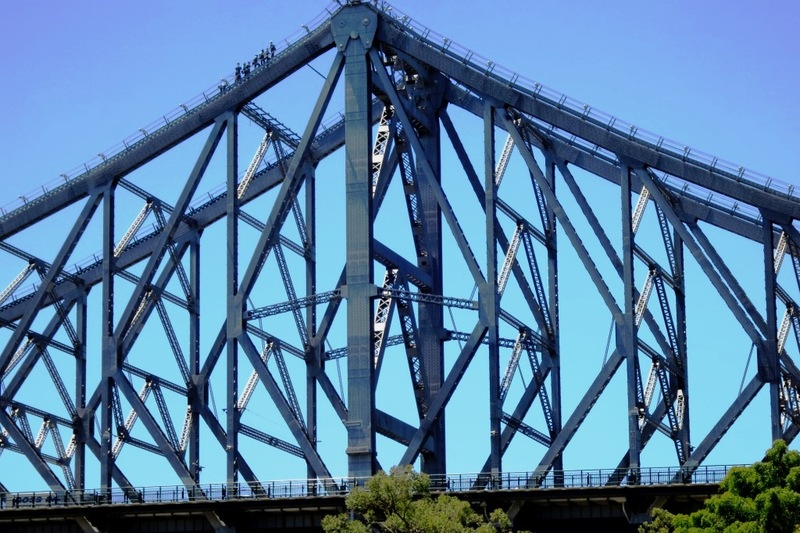 I used to walk across the Storey Bridge with my grandfather and I know there is a book in the Queensland Library by my great great grandfather – about grasses!